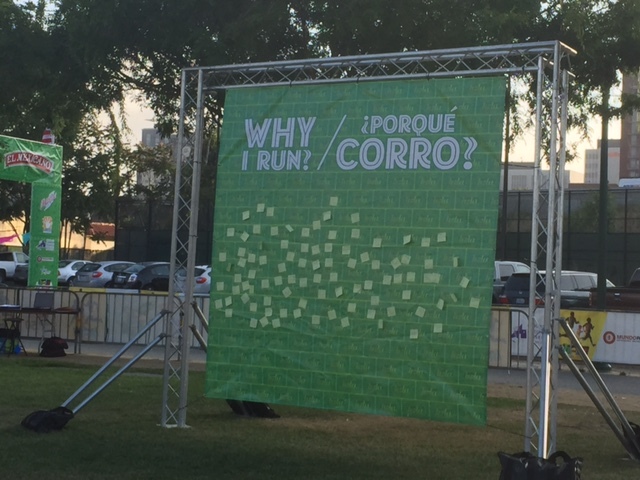 Mexico City-based race organizers Sport Circuits believe the U.S. Hispanic community should be up and running. 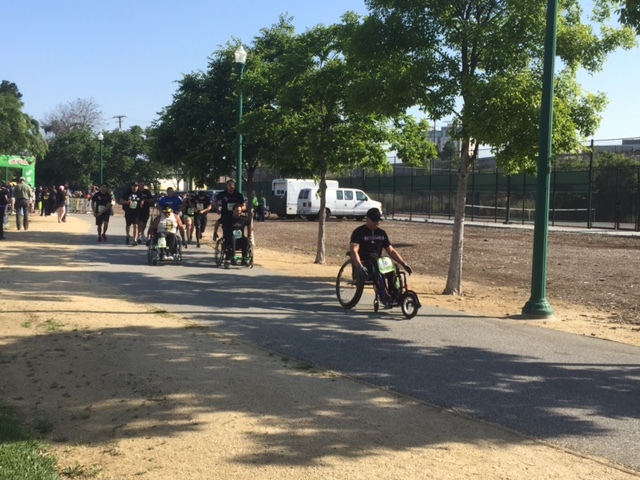 That is the motivation behind the family run/walk series, Hola Run™, which was kicked off on Saturday, May 2 at Arena Green Park in San Jose. 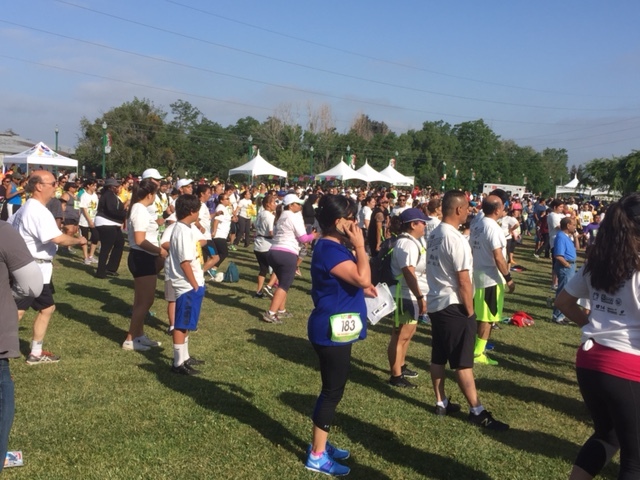 Hola Run is a celebration of fitness and Latino culture. 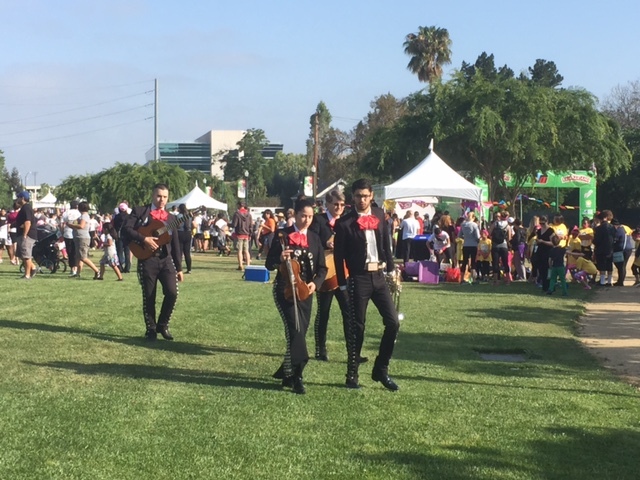 Held on Cinco de Mayo weekend runners were treated to live entertainment, dancers, shirts, medals for everyone and prizes after the race. 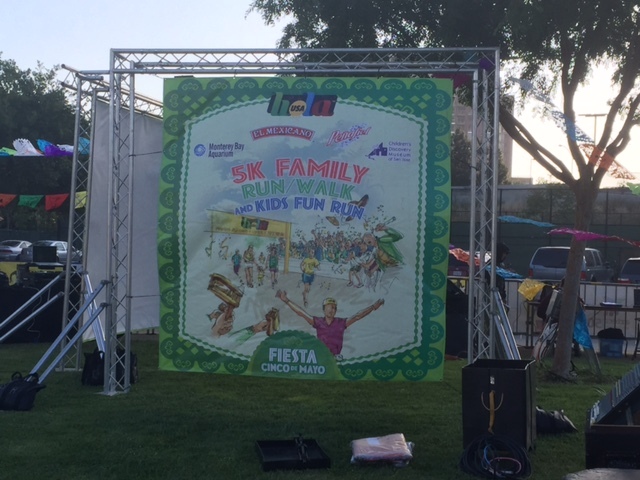 Local radio stations and DJs were at the start line, on the course and at the finish line fiesta. 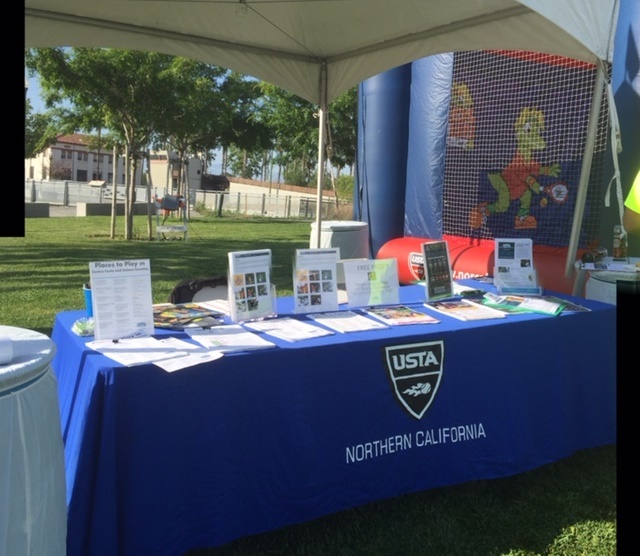 USTA NorCal was on site for the day promoting tennis as a wonderful enhancement for this fitness minded community. 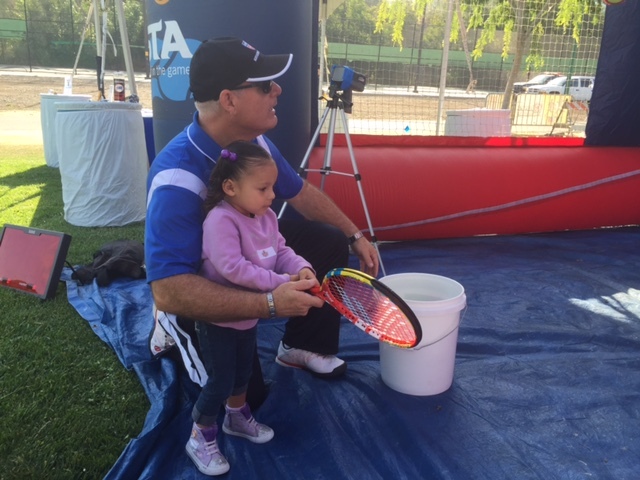 Executive Director, Steve Leube along with Diversity & Inclusion Committee chair, Sada Chidambaram worked the fast serve booth where there were long lines of excited kids waiting to try. 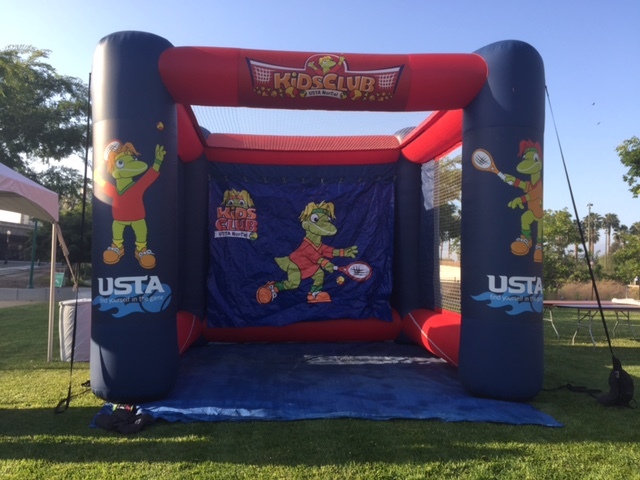 Tennis Service Rep, Chris Samuel and Diversity & Inclusion Specialist, Silvia Dueñas-Bielser provided local programming information to those families interested in pursuing our sport. 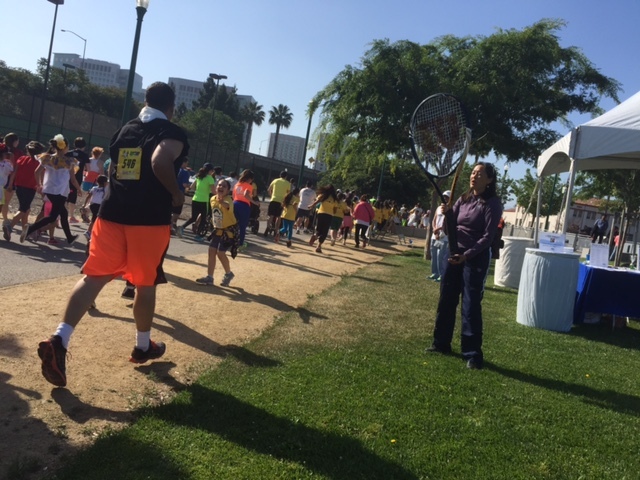 Under the wonderful weather of San Jose, it was a fun filled tennis day at the Hola Run!